View More In Toilets & Toilet Parts - Page 5. 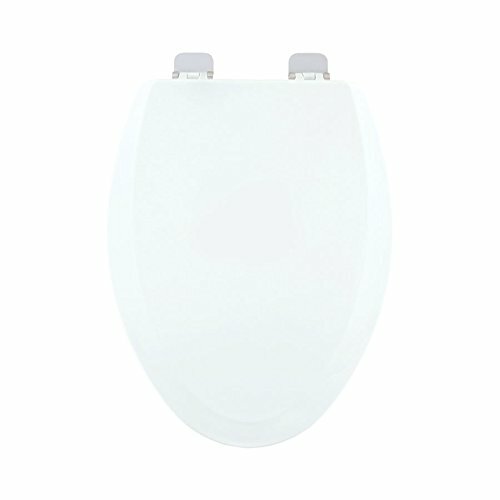 Established in Detroit, Michigan and McCrory, Arkansas, Centoco Manufacturing Corporation manufactures high-quality toilet seats in high-gloss solid plastic, wood and other materials. With representatives serving the continental United States, Alaska and Hawaii the company is a major supplier to building trades, contractors and architects for residential, commercial and institutional applications. Centoco's plastic seats are guaranteed against defects in material and workmanship for a period of one year from date of purchase. If you have any questions about this product by Centoco, contact us by completing and submitting the form below. If you are looking for a specif part number, please include it with your message.